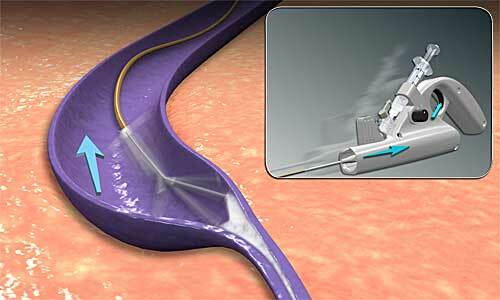 What are the advantages of Clarivein treatment? 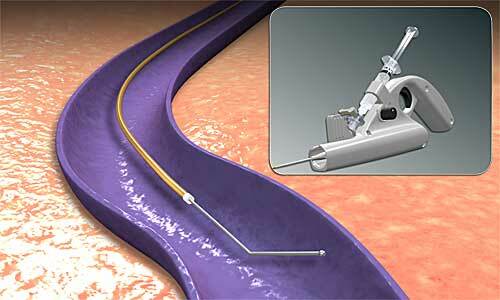 The biggest advantage of Clarivein is that it avoids the need for any anaesthetic. In less time than it takes to brush your teeth, you can have the treatment and drive home immediately afterwards. By combining two methods of action (see figures): mechanical damage of the vein wall by a rotating a catheter tip together with a simultaneous spray of liquid sclerosant chemical, recurrence rates at 3 years are only 2% compared with 25-50% using foam or surgical stripping.